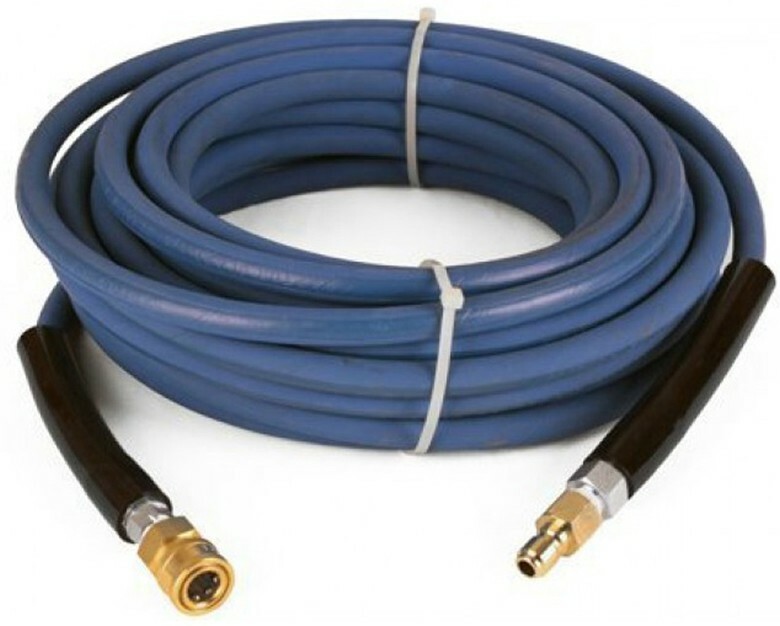 The Serpentine brand has been our industry’s #1 selling pressure wash hose for over 35 years! With The Industry’s Best Warranty! Above is a competitors after 150 hours in the truck washing industry. Below is a Severe Duty hose with over 1200 hours in the same industry & tested by the same contractor and today, over 1 year later, it is still going strong! Yes, you will pay twice as much but you will get 10 to 20 times the life! Get all the toughness without the spiral-wire expense. Allison’s severe duty cycle hose offers superior flexibility with wire-braid construction plus the strength and performance of spiral-wire reinforcement with the toughest covers in the industry. Tested at 1,000,000 impulse cycles at 250°F to far exceed SAE and ISO standards, this two-braid product can handle extreme high-impulse applications. But the Allison severe duty cycle hose benefits don’t stop there. This hose is backed up with a 6-month warranty against cover wear that results in the inner wire core being exposed as a result of dragging the hose on rough abrasive surfaces such as parking lots commonly found at tractor/trailer terminals. This warranty is a normal wear and tear warranty and does not cover inner core exposure or abrasion that started as a result of the hose being cut or snagged. 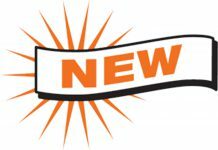 The most common mistake made when purchasing pressure hose is equipping a machine with a one that has too low a working pressure. A 3000 PSI machine should be equipped with one that has a working pressure of more than 3000 PSI. This advice comes from years of field experience using various types. Always size the working pressure over the pressure washer operating pressure. 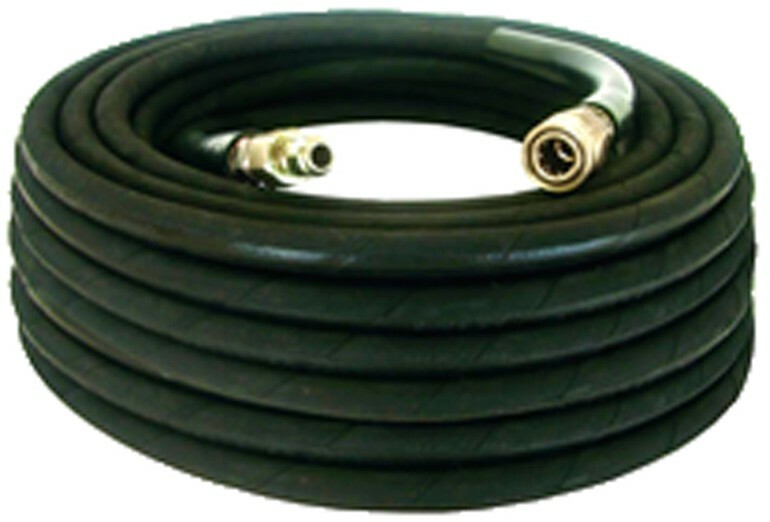 High-pressure hose is constructed of an outer cover, one or more layers of metal braid, and an inner tube. The pressures are available in a range of working pressure ratings. The most common pressure ratings for the pressure wash industry are 3000, 4000, 4500, and 5000 psi. They are measured at the inner diameter. Industry standard is 3/8″, which means the opening that water travels through is 3//8″, with the outer diameter being larger. Most have crimped ends that are 3/8″ male pipe thread, which conforms to the standard inlet port size on a trigger gun. Hoses are designed to bend only so far. If you hold a section of hose in both hands and bend it until it starts to become harder to bend, you have found the maximum bend radius. Bending the hose further will damage the wire braid. The outer cover protects the wire braid from moisture that will cause it to rust and weaken. Once the outer cover is torn the exposed braid also becomes a hazard that can cause hand injuries. Hoses should be replaced when the cover is torn. The burst pressure of pressure hoses is higher than the rated working pressure. The standard for burst pressure is four times the working pressure. So the burst on 3000 PSI hoses would be 12,000 PSI. Some hose manufacturers go with a burst pressure of three times the working pressure. This enables them to make a less expensive hose. Most hoses conform to the industry standard. This burst pressure rating is established by testing brand new hoses. Used hoses that have been subjected to run over or twisting loses strength rapidly. The most common mistake made when purchasing pressure hose is equipping a machine with one that has too low a working pressure. A 3000 psi machine should be equipped with a hose that has a working pressure of more than 3000 psi. This advice comes from years of field experience using various hoses. 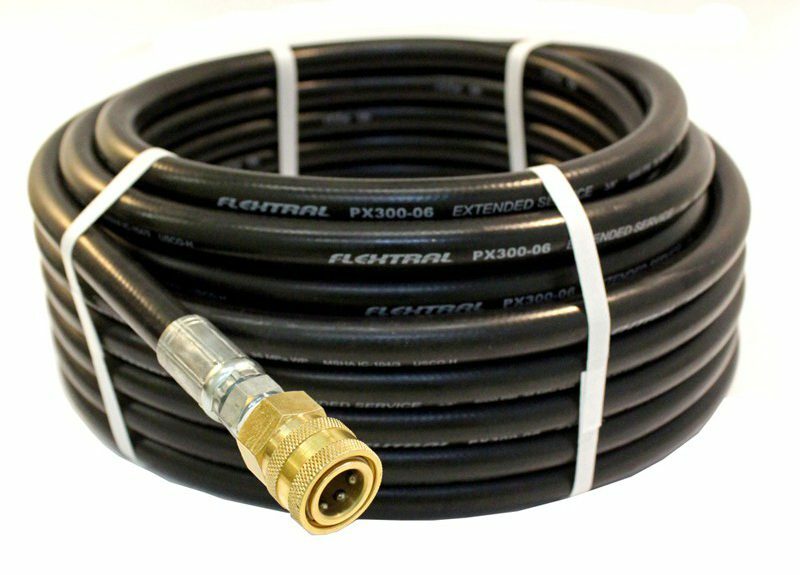 Always size the working pressure of pressure washer hoses over the pressure washer operating pressure. Do everything possible to keep high-pressure hoses from being run over. The normally round wire braid is crushed when it is run over. When the braid is crushed it develops weak spots that sooner or later result in failure. The higher the psi rating on the the stronger the braid becomes. The stronger the braid the more resistant it is to crushing. Light vehicles damage them less than heavy trucks. Vehicles with pneumatic (inflated) tires cause less damage than vehicles with hard rubber tires, like forklifts. Vehicles running over hose on concrete or asphalt will crush the hose more than on a soft surface like gravel. Hose that is very hot will crush easier than hose that is cold. Hose that is pulled hard when caught on tires or building edges can be damaged. Don’t yank the hose. Avoid pulling hose around sharp corners. This can cut the hose outer cover. When washing on high buildings or roofs, hose crimped ends are not designed to withstand the pull of the hose weight hanging beneath them. When working in this environment use a single hose length or find a way to tie off the hose at intervals that keep the maximum hanging hose at any one interval to less than 150 feet. Hoses are a wear item. With use they will need to be replaced. That’s why it is usually a good idea to purchase hose in fifty-foot sections. If you generally use one hundred or more feet of hose, there are still very good reasons to use fifty-foot sections. When a hose fails, losing a fifty-foot section and still having good hose enables you to continue working. Having sections of hose also enables you to only use as much hose as you need, saving wear and tear on the rest. One other reason is the cost of custom made lengths of hose. Production made hose lengths are less expensive. Because of potential liability problems, manufacturers will not warranty field-repaired hose. Many dealers will not repair hose that they do not sell. There are field repair ends, called reusable hose ends that can be used but are very reliable. Installing a reusable hose end requires the hose be cut cleanly. A chop saw with an abrasive wheel works best. It is very difficult to cut through the wire braid without the proper equipment. The hose section that contacts the reusable end must be undamaged. The outer collar is threaded onto the hose and the insert is threaded into the inner part of the hose. These ends can be used over and over on different hoses. Hose repair becomes a waste of time and effort, as a hose gets older. As a rule of thumb, if a hose section becomes damaged at one end because of improper twisting or stress, hose repair is advisable. If the hose fails in the center because of age or being run over, the repair probably won’t provide much additional use before the hose fails again. Replacement is advisable at this point. Black, blue, yellow & red pressure hose will leave lines in many washing situations. Sometimes these lines aren’t acceptable, like when washing concrete. The hose rests in warm soapy water and leaves a line. Non-marking hose is made to eliminate hose marking problems. Gray is the ONLY true Non-marking hose. 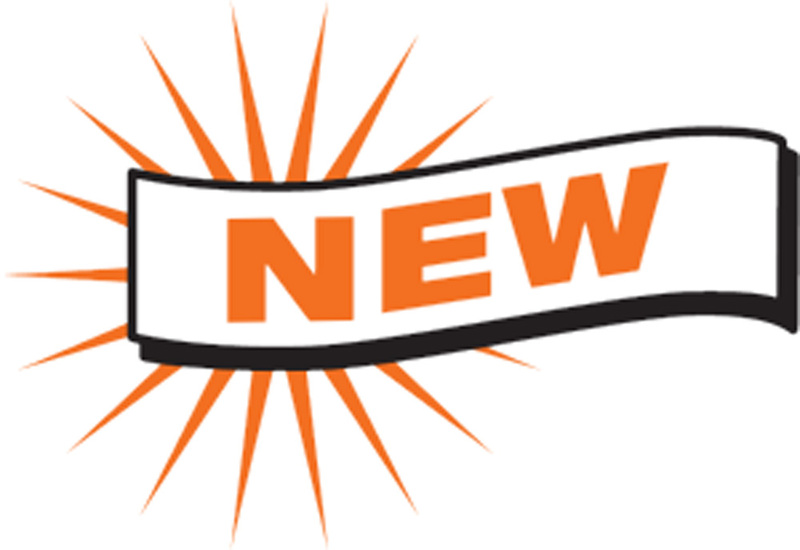 Jetting hose is thin, commonly 3/16″ or ¼”. This facilitates its movement through clogged pipes. It also has a very hard thermoplastic cover that is smooth and slippery. This cover gives less resistance so the hose slides through pipes easier. They are available in several pre-cut lengths or in custom made lengths. 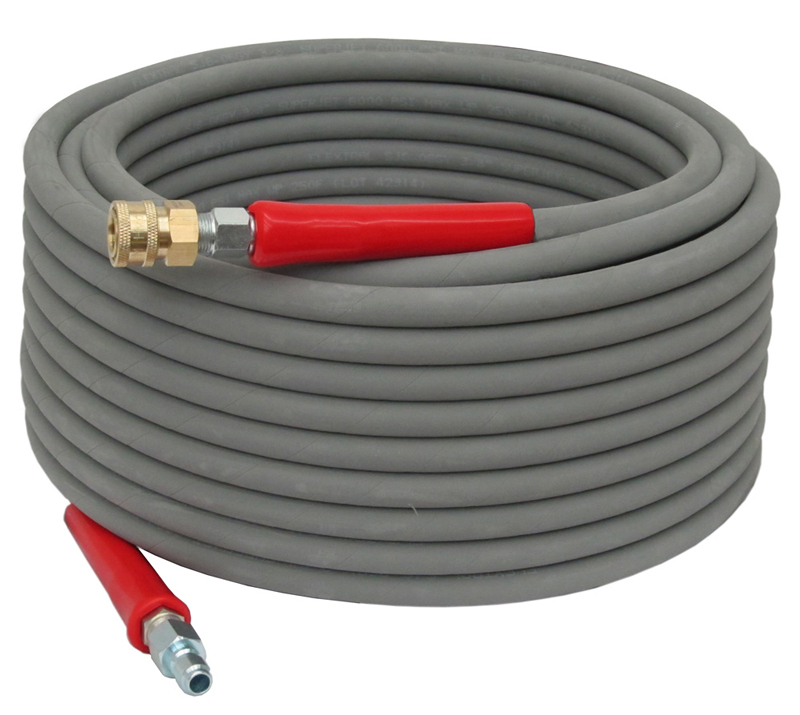 Unlike pressure wash hose, using a single length is wise because it can’t come apart inside a pipe. 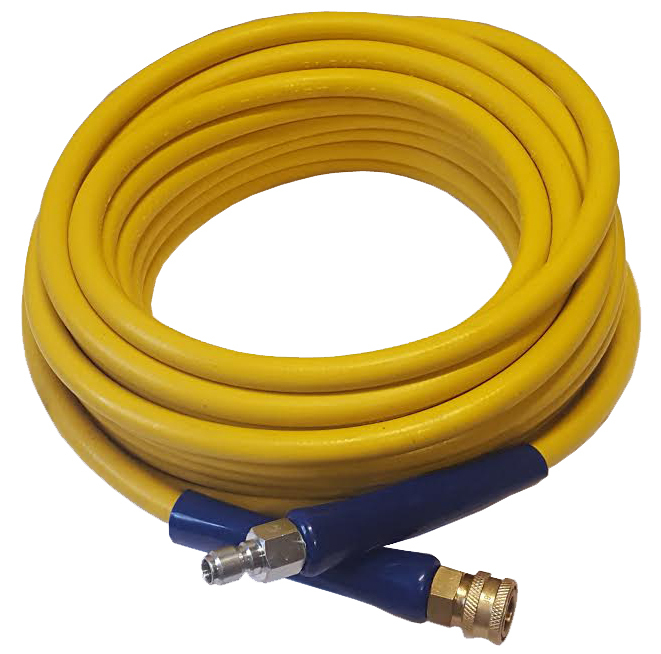 These hose are generally used with a sewer-jetting nozzle. Stain reliefs are common on each end of a section of pressure hose. Their purpose is to prevent excessive bending at the fittings. Hoses generally receive some of the worst abuse at the ends. The end at the trigger gun is strained by the weight of the hose dragging behind it, and it is constantly twisted at the trigger gun inlet. Operators who run without enough hose commonly will pull too hard and put a lot of stress on the hose where it is connected to the equipment. Strain reliefs should be on the crimped fitting shoulder and extend down the outer cover of the hose. The hose whip is a one-foot section of pressure hose that is installed at the trigger gun inlet. Its purpose is to remove the longer section of hose from the area of most stress. It also removes quick connects from the same area of twisting and makes them last much longer.